Best secret wine bar in Amsterdam! Lately, secret bars in major city’s are becoming a bigger and bigger trend. But did you ever hear about a secret wine bar? Probably not… because no one knows ;). So let us tell you this little secret…. Just behind Dam Square, this atmospheric Wine Cellar is hidden in the catacombs of the New Church (although built in the 15th century). The only way to enter the cellar is trough the cute tiny bakery located above. When you enter the cellar, you will discover a lot of delicious wines from the New World. The cellar is owned by José Belgerette, an Argentinian wine expert who fell in love with the Netherlands decades ago. To make the Dutch familiar with the great wines of Argentina he decided to start his own wine bussiness. Therefore, he importes wines from the organic winery Solandes, located in the south of Mendoza, Argentina. The combination of the snow of the Andes mountains, the illuminating sun and the magic soil makes the taste of the selected wines unique. To experience the different wines the secret Wine Cellar has to offer, book a unique wine tasting! Your host José will let you taste differrent flight selections and will give you all the inside information about the origins and flavours of the wines. You can also combine the wine tasting with a diversity of mediterranean tapas, specifically selected to complement the wine offerings the best. You can tell that this is a great secret wine bar by reviews on TripAdvisor. It has only 14 reviews, which are all rated “excellent”. Wine tasting: 24/7, by appointment. 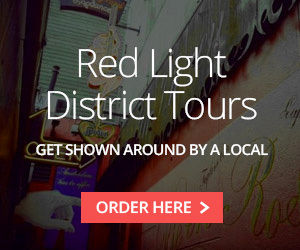 If you’d like to taste the wines of Belgerette, combine your visit with a tour on the Red Light District. You’ll have a one-time-in-your-life experience with one of the wackiest guided tours around the world. After the tour you will relax with some of the delicious wines the Wine Cellar has to offer. 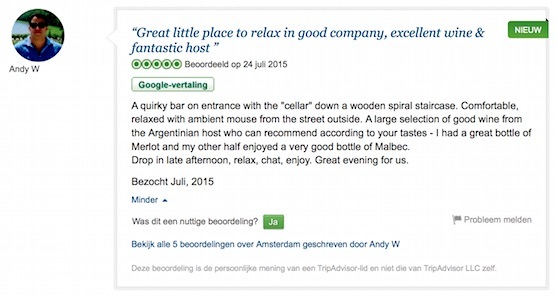 Our local guide will bring you to one of the best kept secrets in Amsterdam….What happens in the Wine Cellar of Belgerette, stays in the Wine Cellar of Belgerette! 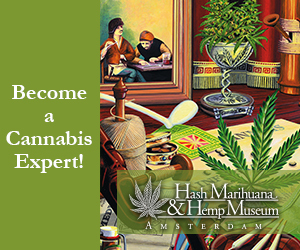 I’m due to visit Amsterdam with friends this coming weekend to celebrate my 50th birthday and this sounds very interesting……. how much notice would I need to book for 8 of us for Saturday 21.11.15.